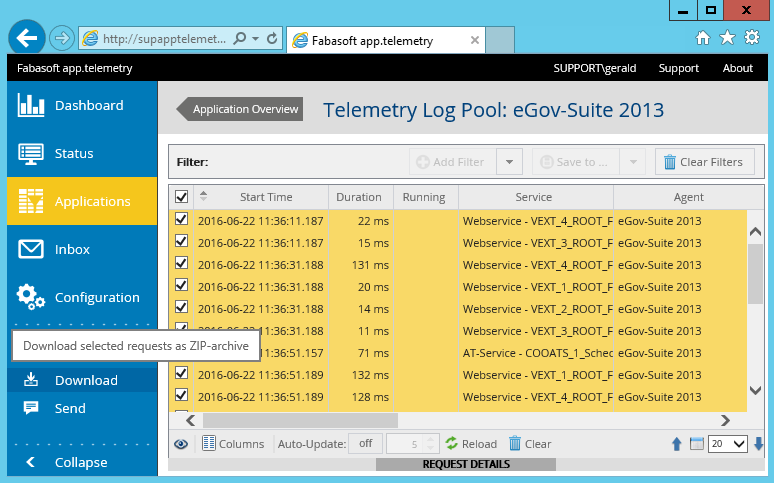 This article describes the steps neccessary to save Fabasoft app.telemetry requests for later analysis. Open the "Applications" view in the Fabasoft app.telemetry web client. 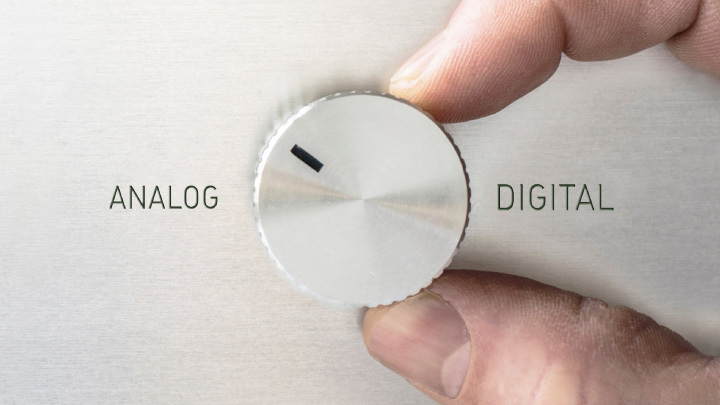 Select the Log Pool from which you want to save the requests. Open the requests view by clicking on "View requests of this log pool". Filter the visible requests according to your own or the parameters provided by the support engineer. Select the requests that you want to save. Click on "Download" in the in the action bar on the left side of the window. 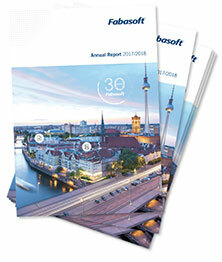 Upload the saved Fabasoft app.telemetry Requests to the Fabasoft Support Service Desk.